I’ve been following the contest since 2016, when the contest took place in Valetta, Malta. And this comes after a year into getting hooked to its adult counterpart, the Eurovision Song Contest, since 2015. -“Barbie” is as junior as you can get from Albania, where its very kiddie-pop sound will appeal to both children and their parents. The Albanian language really does sound well when sung, and I expect a pretty decent result for the country. -I don’t know what to make up with “L.E.V.O.N.”. It does sound like a fun song to listen to but it’s not a song I’d probably put on loop on a daily commute. However, the live performance is one aspect where the song will truly shine and I’m pretty sure that Armenia will be spot on on bringing the song to life on a visual level. -“Champion” is as Australian as you can get from the country that has given us 3 well-produced and radio-friendly anthemic songs in a row since its debut. I have no doubt that the singer, Jael, will pull this off flawlessly live. -I like the innocence and hopefulness emanating from “I Wanna Be Like You”. Even if you don’t understand Azeri, you can feel the sincerity and genuine tone coming from little Fidan. I wish to see this place well in the competition. -I was never a fan of teeny-bopper R&B music, even back when I was in that demographic years ago. Regardless, this is very age-appropriate for young Daniel since he is in that awkward stage of experiencing first crushes and the like. This might bring in the votes from teenage girls but not necessarily gonna attract everyone else from the teen demo. -The songs sounds very current, positive, and totally something you can hear on French pop stations. With “Jamais san toi”, France is surely putting up a good fight with the other heavyweight favorites in this year’s contest. -This will be their first upbeat song since first taking part in JESC and it’s a much welcome entry in a year of ballads. Written by Taylor Hynes himself, “IOU” is an ode to every kid’s hardworking parents. I expect the eventual live performance to be as fun and energetic as the song itself. -Sadly, knowing that “Children Like These” is a cover of song sung by the songwriter who submitted this to be Israel’s JESC entry kind of ruined my enthusiasm towards the country’s return to the contest, with a song that is representative of its musical heritage to boot. With that said though, Noam has made his cover his own, in perfect unison with the song’s strong and exotic ethnic and we’ll surely be seeing it in full force live at Minsk. -While this is probably stronger than last year’s effort, I think Italy missed the mark this time around on sending a song that befits their otherwise talented young singers. Even with its high production value, as you would expect for an Italian song, and its otherwise tame lyrics, older viewers would likely feel unsure if such a song that screams “romantic ballad” is appropriate. -A strong debut entry for a country that have never hid its intentions of one day taking part in the adult version in the near future. “Ozine Sen” evokes strong emotions from the listener, with a story being told by young Kazakhstani singer Daneliya Tuleshova. I expect this to score particularly well as first impressions to both the music video and the initial live televised Kazakhstani qualifiers were highly positive. -This is a break from recent tradition for Macedonia as they were usually known for sending really good pop tunes to the contest. However, poor results may have led them to change up their strategy and go for a more “homely” approach. “Doma” is certainly one of my favorite ballads this year, from the Balkan-style wailing you’d hear in the background to the beautiful arrangement of modern and traditional sounds in the mix. If Macedonia is able to weave this song into a haunting yet enchanting story on stage, they could be among those in the running for sure. -As a known powerhouse country in the contest, there’s always pressure for Malta to meet expectations. But year after year, they’ve consistently delivered and this year is no different. In fact, you could easily confuse this with any of Australia’s signature anthem songs because of the high production put into this, coupled with Ela’s strong vocals. Malta will certainly place high as always, and deservedly so. 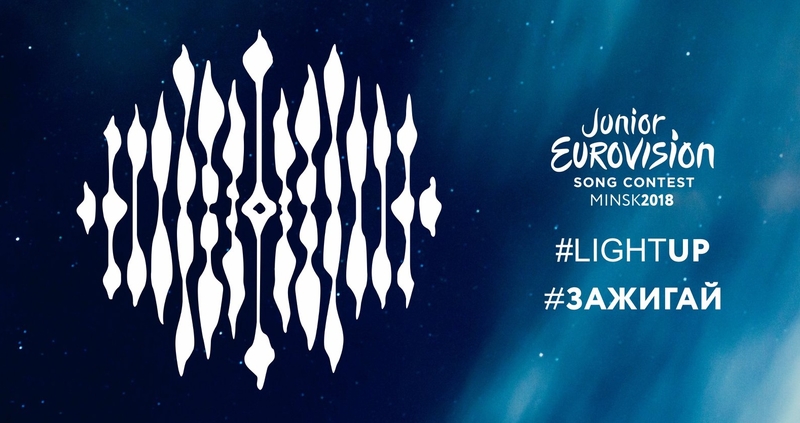 -As one of the only two OGs in the contest that have been around since day one (alongside Belarus), the Netherlands is one country you can always expect in delivering good junior songs to the table. “Samen” is a stark contrast to Italy’s “What s Love” in terms on how specified the song’s message is that makes it more acceptable for kids and adults to listen to. Plus, it actually works well as a perfect winner’s song for some reason haha. -While it’s another teenybopper song, it doesn’t come across as cheesy the same way it does for me with the one from Belarus. It’s quite serviceable for the most part. However, it does feel too safe for Poland, after having powerhouse ballads as entries from the past two years. The live performance will make or break this. -It’s an enjoyable song with a pretty rock beat that makes you wanna stand up and jump around. While this may not necessarily be their strongest entry to date, this a pretty good effort from Portugal, a country known for doing its own thing in Eurovision and having fun with it no matter what. -I wasn’t into last year’s winning entry from Russia however I kinda dig their song for this year. There is so much to like about this, from the uplifting beats, the message, and the anthemic backup vocal shouts in the chorus, you can never go wrong with “Unbreakable”. And the English lyrics weren’t as questionable as “Krylya’s” was. -In such a strong field of songs this year, it’s difficult to declare which is the worst of the bunch. “Svet” is certainly isn’t the worse but its rather unusual song structure might catch some listeners offguard. But this is a song that Serbia should certainly be proud of. -Dark, hopeful, and downright mysterious. Ukraine delivered another strong year with “Say Love” and the comparisons with its winning song in the adult contest, “1944”, is certainly justified with how relevant the topic of war and spreading peace is to them and everyone around without coming off very cheesy. This could be a dark horse for the victory but whichever way it ends up, this will be a well-remembered entry. -My personal favorite this year is the Welsh entry, “Perta”. Its Celtic folk-pop alternative sound (written by well-known Welsh frontman Ywes Gwynedd) and Manw’s soothing voice makes for a perfect combination that I’m hoping would translate well once she’s on stage. Do you have a favorite? Let me know in the comments below. This entry was posted in Life, Movies and TV and tagged Life, TV by admin. Bookmark the permalink.